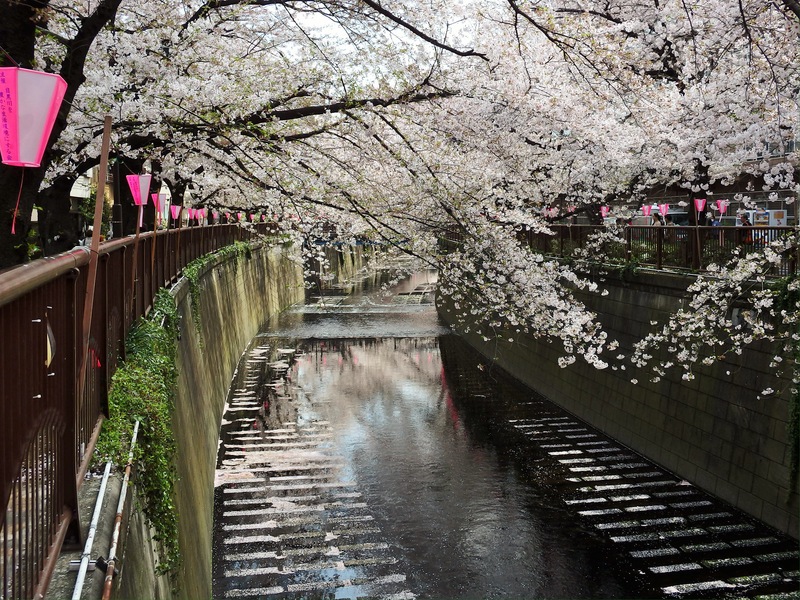 Cherry blossom viewing is especially popular along the Meguro River. 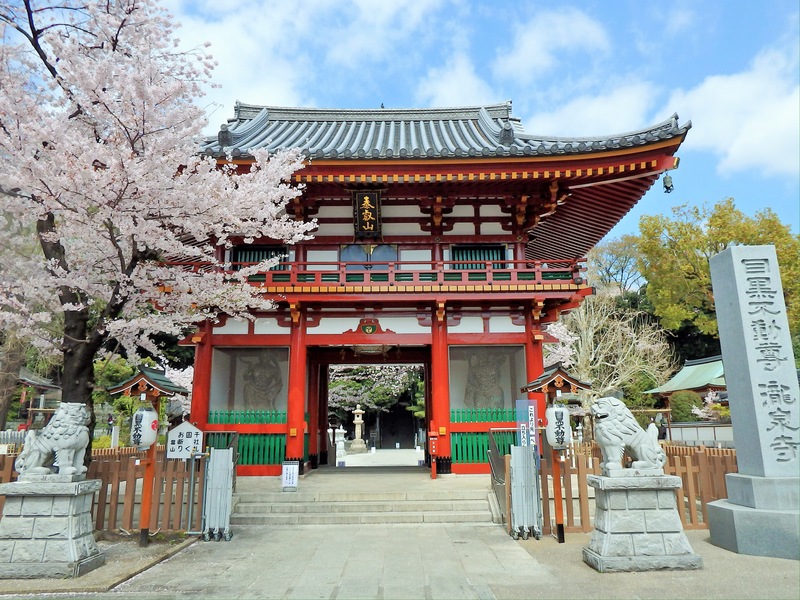 Most people don’t realize, however, that there are many interesting sightseeing spots to visit along, or near, the route – the Meguro Sky Garden, Sugekari Park, the Sato Sakura Museum, Rakanji Temple, Meguro Fudo-son, Meguro Gajoen, etc. 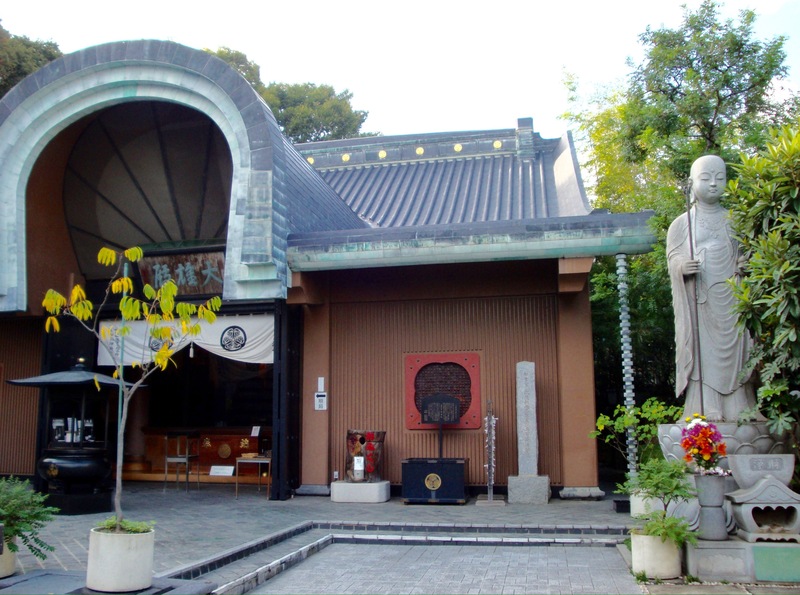 Here is a detailed, do-it-yourself tour of ‘Meguro’s Best’. Start the walk at the east exit of Ikejiri-Ohashi Station. Look for the river; it flows into the city. A raised highway, with a major road below, separates it from a walking path that heads in the opposite direction – but that section of the river is hidden underground. First, visit the Meguro Sky Garden, on the top (5th floor) of the Ohashi Highway Junction. Travel to the garden on the ‘hidden’ elevator beside the post office. Next, walk down the riverside path lined with cherry trees. To visit Sugekari Koen, take a left at the red bridge, then an immediate right. 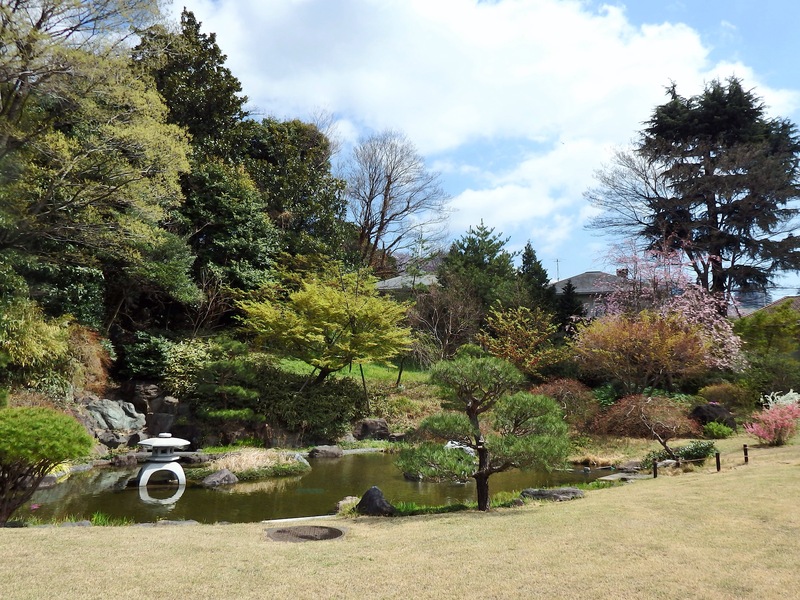 This park was once the site of a feudal lord’s residence and part of his Japanese garden still exists (closed Tuesdays). For children, there is a playground and an open, grassy field in this park. Head back to the river and continue walking downstream. 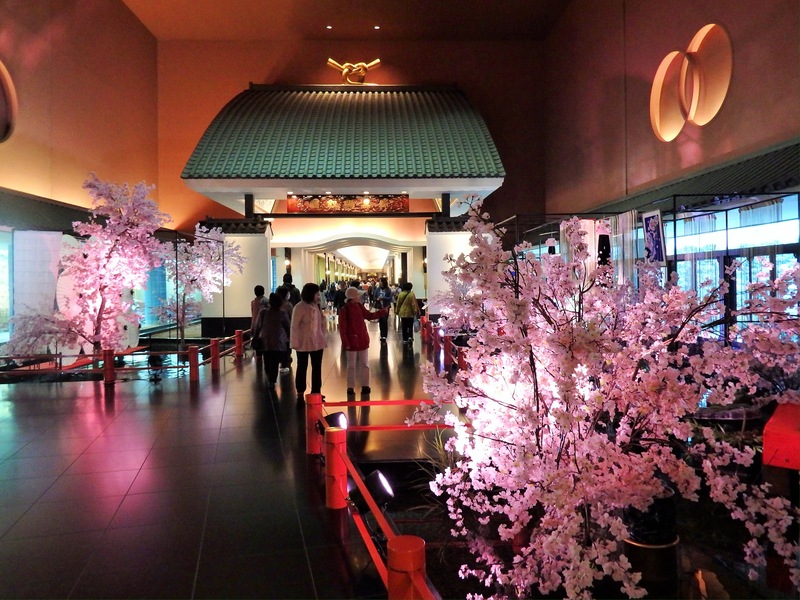 In this area, there are many shops, cafes, restaurants, and, during the sakura festival, food/drink stalls. One bridge before Naka-Meguro Station there is a gas station on your left. Beside it is the Sato Sakura Museum. Showcasing Nihonga (Japanese style art), the museum has at least one room dedicated exclusively to cherry blossoms. Next, pass under Naka-Meguro Station and continue to a large road, Komazawa-dori. Go up and over the road. Stay on the left side of the river here as the right side may be blocked by construction. Immediately past the construction is the Megurogawa Funa-iriba, a boat dock that was used for loading & unloading cargo in the Edo Era. Continue down the riverside. Naka-Meguro Koen will be on the left, beside the incinerator/smokestack. The large, grassy area here is a perfect place to enjoy a picnic. 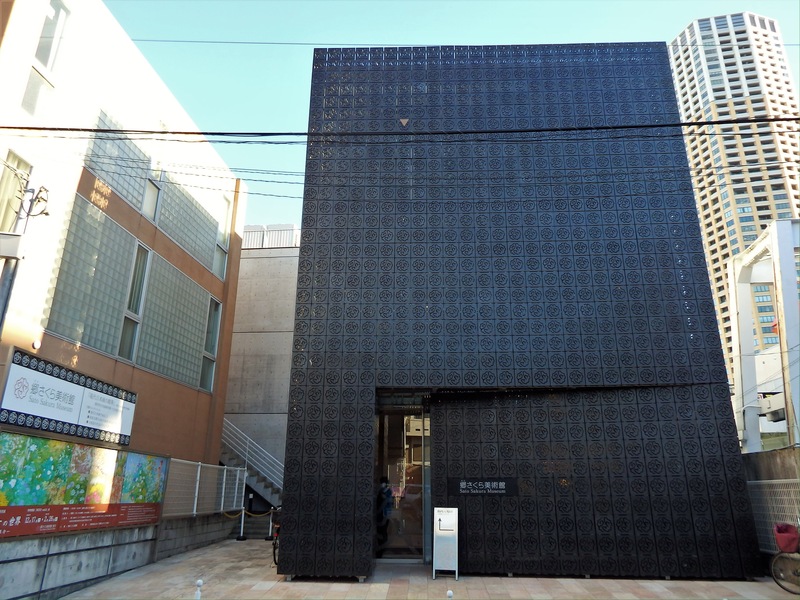 Further down the river is the Meguro Citizen’s Center – with its museum, library, and sports complex. The museum promotes the work of local artists and displays rotating exhibitions of various genres. Walk up a slope to reach Meguro-dori. To end the walk early, turn left and walk up the street to Meguro Station. Otherwise, turn right and walk to the next major intersection (Yamate-dori). Cross to the other side (there is a shrine here), and walk to the left. Soon, turn right at the intersection called ‘Rakanji’. Down this street, on the right, is Rakanji Temple. A Rakan is a disciple of Buddha and 305 Rakan carvings (of an original 500) are on display here. Take some time to look at them closely as you may ‘connect’ with one of them. Next, take the quiet side street just up from Rakanji. It is on the right and it runs along the wall of Ryusenji Temple, more commonly known as Meguro Fudo-son, to the gate of the temple itself. 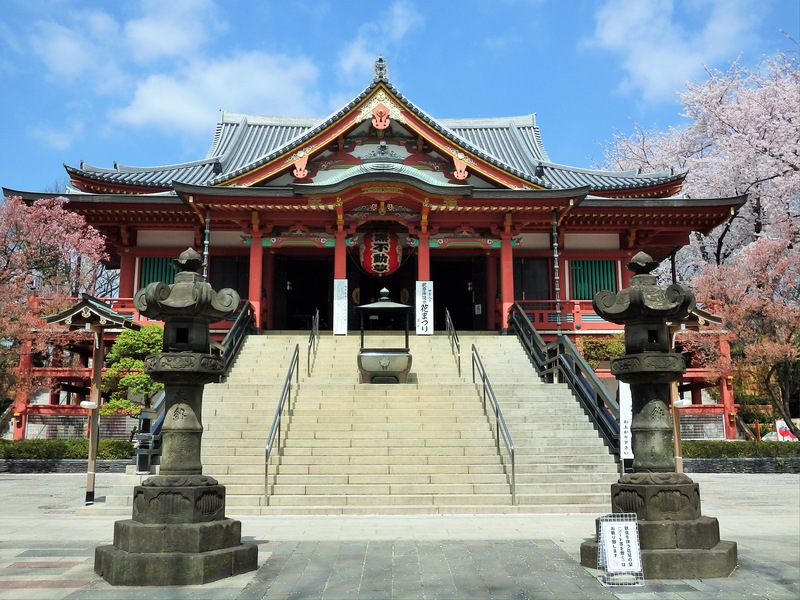 The famous priest, Ennin, carved the Fudo image enshrined at this temple. Fudo is the Buddhist deity of wisdom and fire. Go behind the temple to see an impressive bronze Buddha that most visitors miss. Upon exiting the temple, walk straight to the temple’s shotengai (traditional shopping street). On the corner is a shop that specializes in unagi (eel). Turn left, visit some of the smaller temples along the street, and continue to the end. Cross Yamate-dori again and walk straight, back to the river. At the river, turn left and walk to the first bridge. Turn right to cross it and then walk up the steps to the right – to the entrance of Meguro Gajoen, Tokyo’s most interesting hotel. Go inside to eat lunch/dessert, visit its museum, walk behind a garden waterfall, and/or admire the structure of the hotel itself. Meguro Station is just up the hill from Meguro Gajoen. 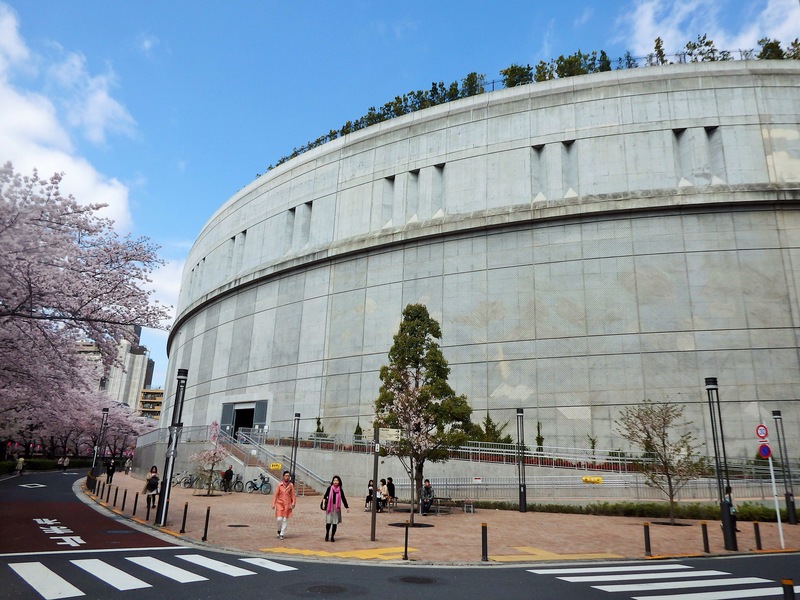 You can ride the escalators within, or walk up the steep slope, Gyoninzaka, just out front. 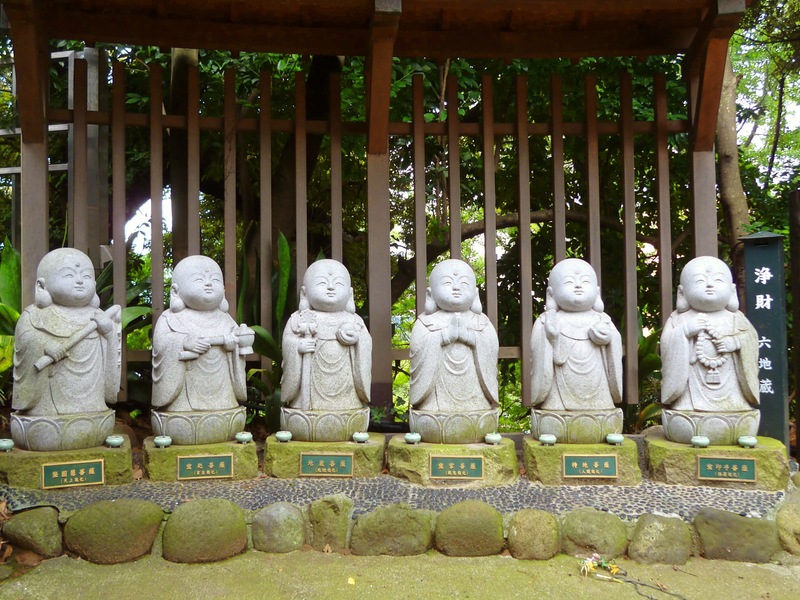 If you don’t mind the walk, there is a small temple, Daienji, along Gyoninzaka. The grounds are filled with an unusually large number and variety of stone statues – including its own collection of 500 Rakan. Although this walk is best during cherry blossom season, it is enjoyable year-round. Thanks Sandy! I have a visitor this week and will follow your route. The weather shoukd be fabulous. Daienji has always been one of my favourite spots, its got everything you need for a condensed temple experience, prayer wheels, incense to purify yourself, 7 lucky gods statues, the 3 monkeys, theres a kappa in the pond (look closely), funny arhats…ring the doorbell and buy gold leaf from the priest inside to put on the seated Buddha where you need help. The information sign is in English, too. As for Gajo-en, always look up at the celings. You can walk outside to the waterfalls and theres sure to be wedding photos in progress there. If the Hall of 100 Steps exhibit area is not open take a peek at the section of original stairwell that leads up to the bridal rental area on the second floor. You can’t go into the bridal area but you can look at the stairwell (to the right of the main floor shop). Enjoy the walk and thank you for your comments and tips regarding Daienji & Meguro Gajoen!